Your jaw might drop when you see what we’re sharing with you today. But don’t worry: it’s in a good way! Our inquiring minds wanted to know: how does Lisa piece so precisely? We asked, and Lisa gave us her #1 tip. It all comes down to . . . starch. Plain-old, nothing fancy, grocery-store starch. Viewing this post in email? Click here to watch the video online. She saves her trimmed-off dog ears in Mason jars. Now every dog (ear) has its day! 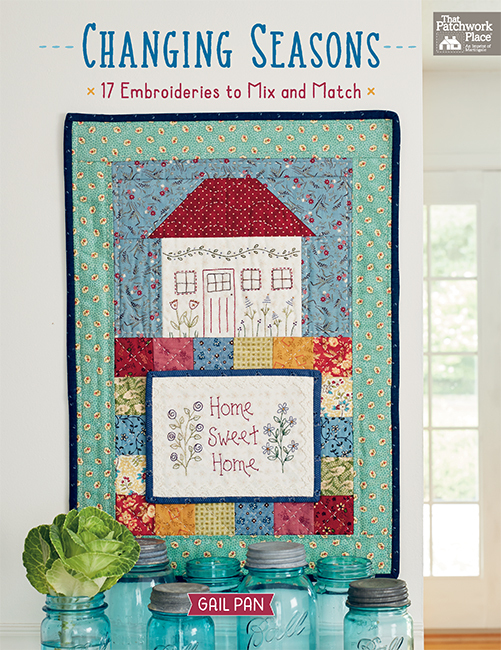 How do you use starch when piecing your patchwork? I soak my fabrics in starch, just like Lisa. I usually use it while pressing my quilt blocks. Tell us your starch story in the comments! I use spray starch but not to the point that Lisa does – guess I need to give it a try! I do the same way. I love Magic Spray Sizing from the grocery store. I generally starch as I am pressing. I have just started to use starch but I now think it will be my " new best friend " for quilting. Awesome stuff !!!! I too use spray starch, but not to Lisa’s point. sizes she does, but it is worth a try. I usually starch after my block is done, but her technique makes sense. I always use starch just like Lisa. It is absolutely mandatory when you are using pre-cut fabrics that you are not washing first. I have found that when I starch and iron them the fabric shrinks quite a lot! I recently cut tiny pieces from a jelly roll and was shocked to see how much smaller the strip was after starching and ironing it! And the starched pieces are a dream to sew with on the machine! I starch as I make the blocks. I’m afraid to starch the fabric yardage in case I need to store the leftovers in my stash. I usually use starch while pressing my quilt blocks. After seeing how Lisa uses starch, I am definitely going to use her method. The absolute accuracy in her piecing has convinced me that I need to follow her guidance. Thank you so much for this invaluable tip! I don’t use starch as a rule but will look into trying it. I don’t do a lot of starching but when piecing small units I will definitely try this method. No comment just a question. Does Lisa prewash her fabric? I haven’t used much starch but will surely do so in the future. I starch applique pieces and fabric that will be cut and sewn on the bias. I use liquid starch and spray my fabric laying on garbage bags and let it air dry, turning it every so often. Then I press the fabric and am ready to cut and sew! Wow….in reading the comments so far, it looks like I’d better try starching! I will sometimes use Best Press on a block, but I’m not consistent with that either. I have used starch before piecing and after. I’ve never used it the way Lisa does but I’m going to start. This method seems less messy, keeps starch off my ironing surface and my iron. I like it! I thought I was starching my fabrics. I have never used that much starch; never took the time to air dry my fabrics, never used a towel on the ironing board. I need to try this technique. Method looks great for accuracy. I sometimes use starch when pressing, especially if I have bias edges that need some stabilization. But, I think she’s got a good point. Maybe I’ll try to starch beforehand next time I’m piecing something intricate! I sometimes use starch when working with small pieces or for complex piecing. I starch before I cut. Love, love, love my starch!!! I soak my fabrics in starch, just like Lisa. A dear friend taught me to make cardboard. That is what I laughingly call it. She is absolutely right. It makes accurate piecing so much easier. I sometimes cut with an Accuquilt. The cuts turn out perfect when using starch. I generally do not starch unless the fabric is very wrinkly, but I will now! I starch just like Lisa taught me to! And it really does make a difference on everything I do. My fabrics are pre-washed so I’m not worried about shrinkage (except pre-cuts) but the starch makes cuts just perfect. And then they are so much easier to handle whatever the size. I sometimes use sizing on fabric but I’m going to give starch a try! I use spray starch on most of my fabrics but not as heavy as Lisa does. But I’m gonna give it a try! I always starch before cutting. The fabrics shrink just a little after pressing with steam anyway, so starching helps keep those tiny little blocks consistent size. The smaller the block, the more important this is. I starch an press my fabric before cutting my quilt patterns. I use Mary Ellen’s Best Press before cutting my fabric. I sometimes use it when I press my blocks. I always wash my finished quilts before using them so that takes it back out. I use liquid starch and dilute it. The ratio of water to starch is 1:1 for rotary cutting and for die cutting and 1:3(water) for other uses. I heavily starch fabrics prior to running them through the die cutter by spraying yardage and letting it air dry. I usually starch when pressing individual blocks. I use the spray starch before piecing, but I never let it air dry. I’m going to try this on my quilt I’m starting now. Thanks for the tip. I have used Best Press but have not used spray starch. I am just starting a new quilt so will try it. 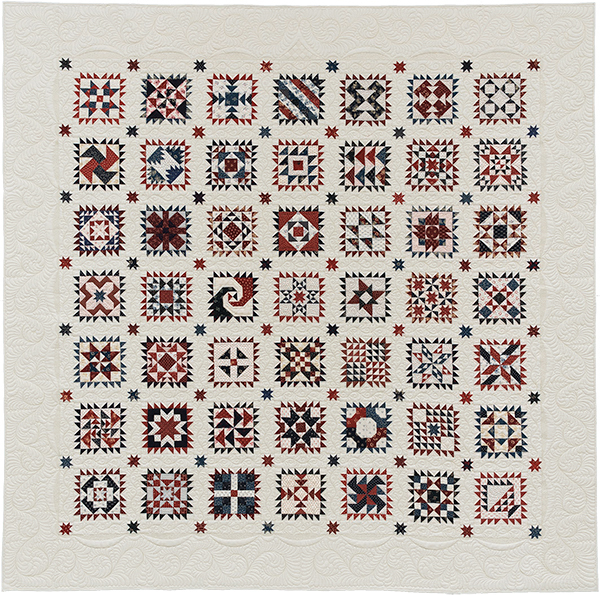 I don’t usually use starch; but in the future, I will try Lisa’s technique when working on small blocks or doing mini quilts. I use spray starch I cut, but I will be trying Lisa’s method. I spray start before cutting but not as much as Lisa does. I use liquid starch concentrate from the grocery store, full strength, on the fabric before cutting. I like to get the fabric almost as stiff as paper before cutting. Throughout the piecing process, as I press seams, I may spray some diluted starch when I press. I’ve only just begun starching my fabric. I use Best Press and I iron it dry. Lisa’s method is great, but it seems like it takes too much time before you actually get into your sewing. I’ll have to try her way though. I starch my fabric before cutting. I use either Magic Sizing or Best Pressed depending on how I want to use the fabric. I starch before I cut but not as heavily as she does. Years’ ago I was "warned" by a quilt appraiser that using starch would attract "pincher bugs", to nibble on the fabrics eventually, much like they are attracted to the paste on old wallpaper. She recommended spray sizing so for that reason I have used spray sizing since. I presume that if I use spray starch I would have to wash my quilts when completed, which I don’t always do. Hopefully, that is an "old wive’s tale" and Lisa’s gorgeous quilts will last forever. I don’t usually use starch at all—but I’ve got to try it now! I’ve used starch one time, it made sewing so much easier, very precise. I need to make it a habit. I have used starch on precut fabric ever since learning this trick from Lisa. It not only makes the fabric easy to cut and piece, but is pre-shrinks it. I lay my pieces out on a towel to dry and this method also alerts me to fabrics that bleed, as they dry, those that might be a culprit leave some of their dye behind on a light colored towel. Try this method, I think you will like how it improves your overall piecing. I am using starch quite a bit more than what I used to and after watching this video I will be doing it even more. Before I mainly did it when I had a lot of angle piecing that I was doing in a project. Normally, use starch when I appliqué and when I finish a block. It always helps and I have never been sorry that I starched, especially when working with bias. Usually use starch when pressing blocks. But I will definitely give this a try! I don’t usually use starch, but I might try it if I make a quilt with tiny pieces. I have only used it on the few occasions I have done hand applique. I think I need to give this a try; normally I just spray and iron after a few minutes, but that sure works for Lisa. I sometimes starch the fabric before cutting, but usually just use starch when piecing. I starch when I remember to do so. But I intend to follow Lisa’s advise. Her piecing is beautiful. I usually use starch when pressing my blocks! I soak my fabrics in starch, just like Lisa. I learned this trick from Lisa a couple years ago. It works like a charm. I have not used starch very often but will try this new (to Me) technique soon. Wow! I usually use starch when I press the finished block, I am definitely going to try this! thank you! I used to spray with starch but not as heavily. Then I read or heard not to if you don’t quilt then wash or it could attract bugs. Since I don’t quilt often my tops are stored for awhile and the last thing I want to attract are little visitors. I do steam a lot before cutting my fabric since I don’t pre-wash. I know one day the quilting police will be visiting my door. I heavily starch and let it dry before cutting my fabric. I found this method to be very interesting and will give it a try. I don’t starch a lot, but when I do, I usually spray blocks when I am pressing. I use homemade starch and spray before cutting. I will have to try Lisa’s way, Anything to help with the cutting and sewing progress is worthwhile. I don’t use starch. However, I usually try something before I say it’s not for me. I guess I will give it a try. I’ve started using Best Press when pressingy fabric before I start culturing. I use it when pressing the fabric. I haven’t been using starch, but I think I need to start! I always heavily starch my fabric before cutting; I find it truly helps with piecing accuracy. I iron the fabric dry, but will try Lisa’s way of letting it air dry. I also appreciated her tip about protecting the ironing surface with a towel. Hadn’t thought of that. I don’t usually starch but will consider doing it now! Lisa’s video is enlightening! If I plan it, I starch my fabrics like Lisa does ( thanks for that lesson, Lisa), however if I have a strong urge to sew NOW, then I will starch as I am pressing quilt blocks. I rep my material before cutting, but I’ve used my iron to dry it. I guess I’ll have to try it Lisa’s way. I never used starch until the first round of blocks I did for Moda block heads. Now I use it daily. The grocery store king. However I do love best press scents. I starch before cutting. I use liquid starch and put in a spray bottle with water. I was just recently advised to starch before cutting. It helped! I spray with Best Press which is way more expensive than starch at the grocery store and I can see that I don’t get the fabric as stiff as demonstrated in the video. I will try Lisa’s way and see if my piecing is better. I don’t start–I’ll have to give it a try! Lisa after the starch has air-dried, do you press with a dry iron, or do you press with steam? Love this hint! I soak my fabrics in starch, just like Lisa. I use a inexpensive vinyl tablecloth and place my fabrics onto it and spray them down and leave them to air dry. It works like a dream. I usually starch my blocks when I press. Sometimes, if there are going to be lots of little pieces, I starch the yardage. If I need it stiff I buy a bottle of Stay Flo starch and follow the directions. Reminds me of the old days when we starched all of our clothes and put them in the freezer till we were ready to iron. Yes I saturate and let dry. I usually add vodka to help with the solubility. Honestly though I soak on the wrong side and iron on the wrong side. I thing it’s a hold over from the scorch days. I starch like Lisa. I find every thing is much more accurate. I usually use Best Press before cutting my fabric. I just might give this method a go though. I use StaFlo liquid starch diluted in Gardening Spray bottles from Dollar Store. I press everything before cutting using plenty of starch and hot iron. No stretching after cutting and the fabric has been preshrunk. I love spray starch! I use spray starch anytime I am ironing fabric before I start a project whether it is yardage or specialty cuts.I have let it set for a minute but then iron it dry. I will try the air dry then iron next time. Fabric used to come with more sizing than today. If you happen to have a fabric produced in the US that you saved, you will most likely find it is more tightly woven and has sizing. Not removing the sizing was why I rarely prewashed fabrics before cutting and sewing and always starched if I did! I guess this just comes from being a manufacturer’s daughter. In the factory, I always noticed a slight odor and sometimes my eyes watered. Years ago, all fabric that was produced for manufacturing had something added in the production that helped keep the fabric clean during the numerous operations needed to sew garments. Yes, things do fall on the floor sometimes! I have begun starching when doing smaller pieces or curved piecing. I have never used starch but it does make sense, especially with such tiny pieces. I am presently working on a scrappy stashbuster HST project with over. 2000 pieces so this suggestion will come i. Handy. I generally use it while pressing my blocks, but not as often as I should. This is a great reminder how starching can increase accuracy! I have not starched any of my material before, but considering how much it has helped Lisa be more precise, you can bet I’m going to start doing it! I starch all my fabric before cutting. I do not prewash. I use Faultless Heavy Spray Starch (the one with the blue cap). I get it for about $1.00/can from my local WalMart. My method is to press the fabric with right side up (I read that the starch saturates into warm fabric better than cool fabric) and then spray with starch (enough to cover the fabric but not as saturated as Lisa does). I let it dry a bit – so that it’s not wet but it is sometimes a bit damp. (Sometimes my quilting area is full of starched fabric, drying.) Then I turn the fabric over so that the wrong side is up and press (I don’t get as many starch flakes this way). I spray this side, let dry, and then flip so that the right side is up and press again. I think stiffly starched fabric cuts and sews and presses better — plus I like the smell of starch!! I usually use starch when pressing as I piece each block. I am usually way too eager to get cutting and sewing to prep my fabric as Lisa does, but I may need to re-think that. I starch my fabrics, especially when using triangles; however, I have always pressed the fabric while it is wet. I will give Lisa’s air dry method a try! I don’t use starch anymore because of a corn allergy – all commercially available starches are made from corn starch. I do use Best Press, and saturate my fabric, roll it up and put it in a plastic bag so the Best Press reaches all the fibers (like mother used to do, but I don’t put it in the refrigerator!). I do press it dry, not iron, press. If i think it needs it, I do the whole process again until I have a fairly stiff fabric. If you use this technique, be sure to keep colors separated as they may bleed or slough surface dye. I can piece like a champ using this technique. 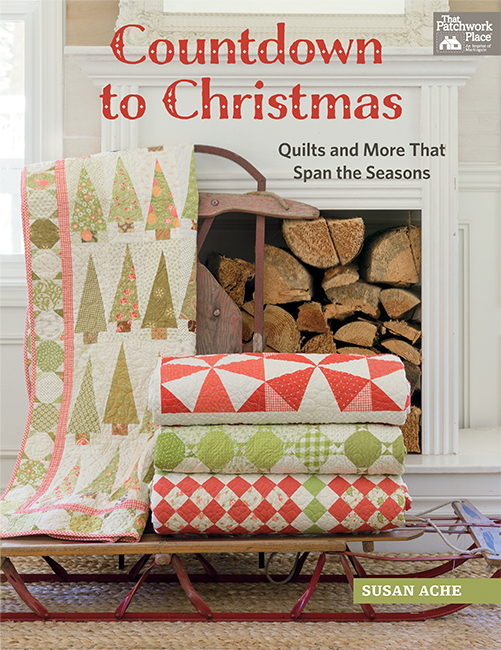 I am a huge fan of Lisa’s work and used to starch my work as I pieced. Now when I am working with small blocks, I starch my fabric before hand like her. It is a game changer! I’d have to say "All of the above"!! This looks like a great book! I use spray starch before cutting,but not as much a Lisa. I will try Lisa method tomorrow on my next project. I soak my fabrics in starch, just like Lisa. And, I love how it makes the piecing much easier. When I first read about using spray starch, I thought I’ll never do THAT! About half way through making Moda Blockheads I, I decided to give it a try. 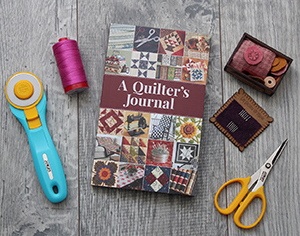 Now I am hooked and always use it for any quilts with small pieces. It makes a huge difference! I usually spray starch after my blocks are completed before trimming down to size. I don’t usually use starch, but I’m sure that it would be useful in working with tiny pieces – another thing I don’t usually do unless paper-piecing. I usually starch with Best Press after sewing the blocks together. I will now use Lisa’s method. Thanks for the info. For a good while now, I steam press my fabric to get the threads to tighten and then starch the fabric to further tighten and stiffen it before cutting. I found a huge difference in the accuracy of my piecing in doing this first. I like to spray starch on, let dry and then press with a dry iron. I use fabric sizing before I cut the fabric. It does make a difference in the finished product! I have used it in the past but stopped because it gunked my iron up so much. I never thought of letting it air dry. Now I will try it Lisa’s way. Thanks, Lisa. I prestarch fabric that has not been pre-washed. I spray starch fabric if the block is less than 8 inches. Lisa’s method makes sense. Thank for for posting the video. 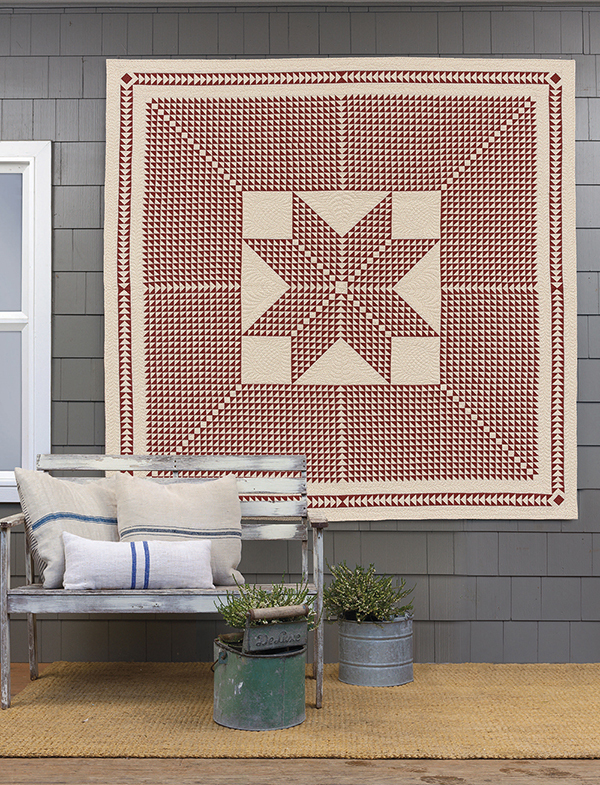 I am going to give this a go when I get ready to make more Lone Star blocks. I’ve got four on my design board, but need another dozen or so. Thank you for the video… I’m thinking I do a combination of starch treatments. I use Best Press while pressing during the construction process. I also spray starch damp fabric that has been washed but not fully dried. I frequently air dry the starched fabric out side in the full sun, thinking that this might tighten the fibers up even further. I really blast with starch if I’m doing applique. I always use spray starch, it’s a huge help. But never in the amount that Lisa demonstrated. Nor do I generally let it air dry. That would probably avoid the problem of flaking that sometimes occurs when the starch is ironed dry. I’m going to try these tips, especially when cutting/sewing small pieces. I starch when pressing – it helps a lot! I don’t usually starch at all. Looks like I’ll have to start! A long time ago, it was Jeanna Kimball that taught me to starch the fabric that I am sewing on. She uses boxed starch and air-dries her fabric, too. It is the most wonderful way to keep your cutting clean and perfect. Sewing the starched pieces makes it easier and my blocks come out flatter. 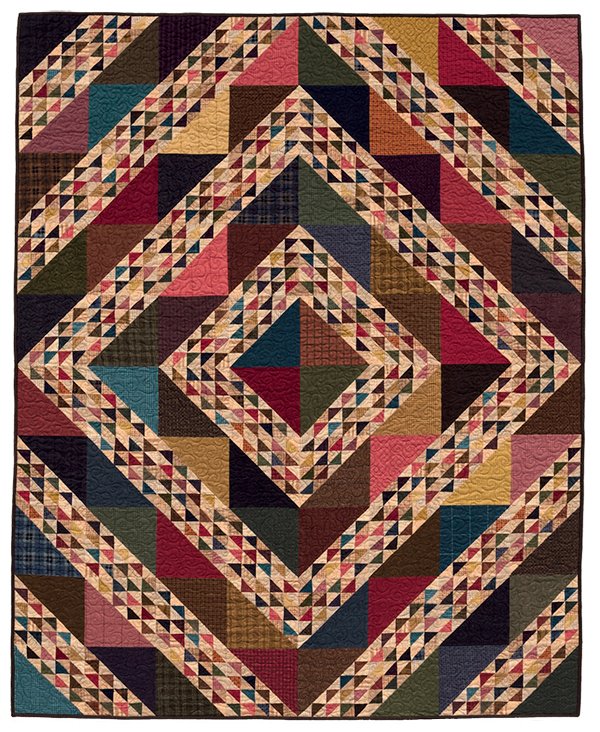 When your blocks are flatter, your piecing is much more accurate and fit together better. By using this method my sewn blocks come out to the exact size, need less trimming and there is less ripping involved. One more note, I do pre-wash my fabric and fold it flat without ironing first. This saves time and I only cut off the portion that I need and starch that when I am about to use it. The left over starched scraps are put in a tote with a tight fitting cover to help keep the bugs away that like to eat starch. I starch lightly each time I press. So my block gets stiffer as I go a long. for quilting is limited. Does she cut the large sections Into smaller sections to make it easier to saturate the fabric? I sometimes use a spray starch on my fabrics before cutting. And on my blocks too. I starch like Lisa sometimes, it works wonderfully. I should do it more, but I’m usually in too much of a hurry to bother with the preparation. Wow! I use starch but will DEFinitely try Lisa’s way. ToDAY. Thanks so much for the video. I use spray starch when I iron my fabrics and blocks. Maybe I need to do more to get those perfect tiny pieces like Lisa! Thank you for the video…I usually starch my block, but now I have learned how AND why to treat the fabric before I even cut it!!! I starch heavily at all parts in the process. I use a concentrated starch full strength- the pieces could stand on end !! The starch has really helped with matching seams and to prevent stretching. When done with every thing, after quilting and binding, I gently wash the quilt!! BEAUTIFUL!! I don’t usually starch but I may need to start. I do use a spray starch but not enough according to this, have to be a little more organized and have fabrics ready for the project, but this sounds like it would work great! Thanks for the video and lesson, I’m definitely going to give this a try. I soak my fabrics in starch just like Lisa. I pretty much started doing that when I did the Moda Blockheads #1. I piece with small fabrics and it definitely makes a difference when you don’t starch! I heavily starch with either BestPress or Terial Magic on wrong side of fabric, the. Fold it up to let it soak through a bit. I press dry from right side of fabric, then do a quick press on wrong side before folding fabric straight in preparation for cutting. Have had best success with accurate cutting and piecing using this method. I don’t use starch because I have read the bugs we get in the south will eat the quilt if it has starch. I use Best Press instead. I use starch when pressing all of the fabrics to be used in the project before I start cutting. I usually then press with starch once again after each block is finished before assembling the blocks & rows together. Someone mentioned in an earlier comment that when using starch & ironing, they noticed that their fabrics had shrunk a good bit. I have noticed that possibility before, but then I thought maybe it was just my inaccuracies. I would love for someone to answer this question that I have: If starching & pressing causes the fabrics to shrink, should we allow for this and make all of our blocks bigger or just starch before we start cutting the yardage at the beginning of a project? And then there is Anita Grossman who advocates when the fabric is first purchased, to put it in a large plastic bag, from the bottle, pours in the starch, sloshes it about a bit to saturate the fabric. Then she shoves the bag in the freezer so it is ready, when she is ready, to iron and use. Thanks for showing how to starch precuts. I love working with starched fabric. I learned this from Lisa. Thanks again. I do use starch, but now I know a better way to do it! Thanks, Lisa, for showing us this! Does Lisa wash her quilts when she is finished? There may be no truth to it but the “starch attracts bugs” concerns me. Hi Lenore, great question! I talked with Lisa and this is what she said: "I wash my quilts only when needed. The types of starch that are in aerosol cans do not have corn in them, which can attract bugs. 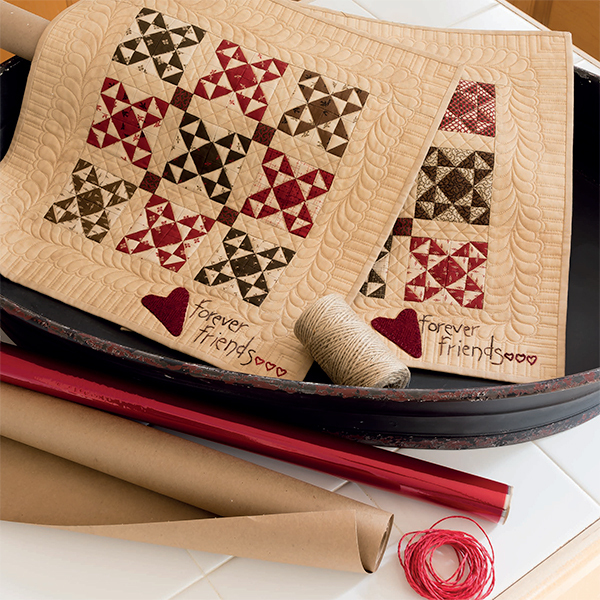 As long as you use starch and aerosol cans there’s no need to wash your quilts before use." I just started to use starch and like it, but I just had a problem that the fabric ran ! What should I do and is this going to be a problem? I have not yet developed the habit of starching but I am impressed with the video and plan to try it more before long. I’ve been using Best Press lately, I’ve noticed that with starching it does help keep the fabrics more crisp when piecing. But Lisa’s technique is something new to me, I will try this! 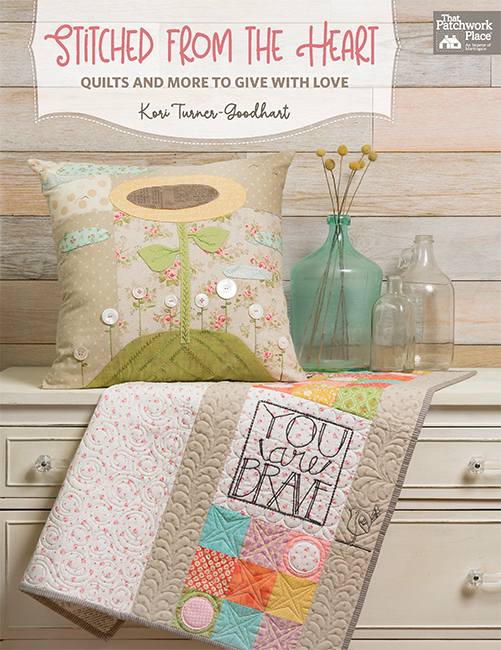 I love her quilts. Since the top piece will have been starched and ironed (assuming some shrinkage), does Lisa starch the backing fabric, too, before sandwiching and quilting? Just wondering if that will make a difference when the finished quilt is washed?? I always starch using both Best Press and grocery store spray starch in combination. This method makes for super accurate cutting! 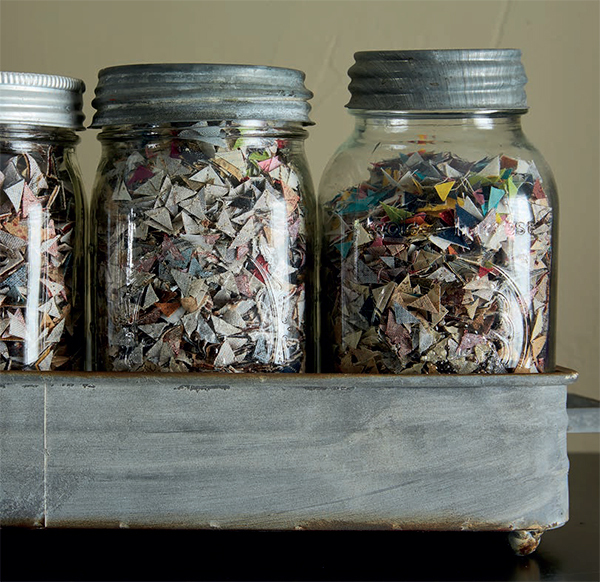 Any starched leftovers get cut into strips or squares and stored for another day.